Chanteur Country Canadian né Everett Peacock, originaire de British Columbia. 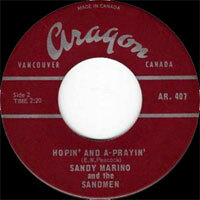 Sandy Marino a enregistré chez Aragon Records de Vancouver (British Columbia). Canadian Country singer born Everett Peacock, originating in British Columbia. 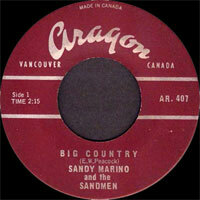 Sandy Marino recorded at Aragon Records of Vancouver (British Columbia).